Kristiana 34″ LE 11 has a wavy naturally white wig and light blue mouth blow eyes. Her silk dress is decorated with beaded lace trim. 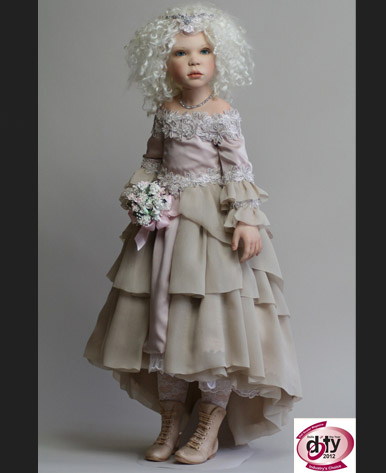 A crystal necklace, little bouquet and porcelain boots are perfect finishing touches to her original outfit. 2012 Dolls Of the Year Industry Choice Award.Kristiana 34″ LE 11 has a wavy naturally white wig and light blue mouth blow eyes. Her silk dress is decorated with beaded lace trim. 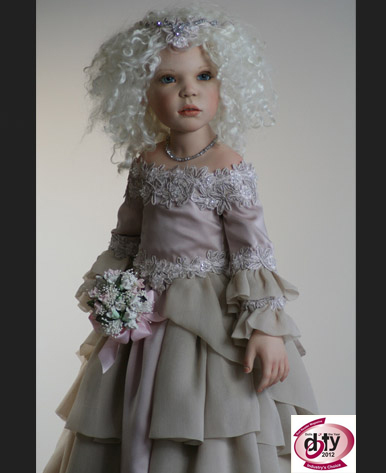 A crystal necklace, little bouquet and porcelain boots are perfect finishing touches to her original outfit. 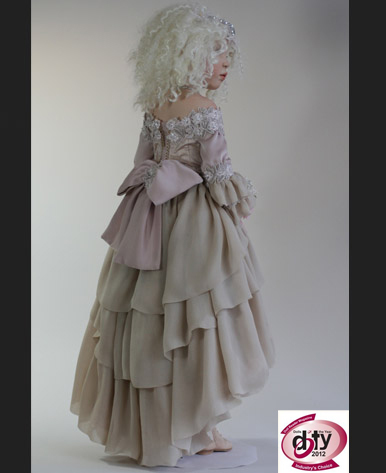 2012 Dolls Of the Year Industry Choice Award.